Currently Sunshine Plaza at Disney California Adventure is under construction. This is a very extensive refurbishment, changing the park entrance to look like Southern California did in the 1920's when Walt Disney first arrived in California. The highlight to this refurbishment will be the Carthay Circle Theater, a replica of the original, a famous movie palace in the Golden Age of Hollywood. At the D23 Expo it was announced that this will house a restaurant. The menu is being developed by Chef Andrew Sutton, from the award winning restaurant, Napa Rose. My guess is this will be a fine dining experience. At the Walt Disney Parks and Resorts presentation it was teased that there will be a Club 33 expansion. No information was given as to where this would be located or how extensive the expansion will be. Disney executives did mention that it is much need as the waiting list for those wanting to become members is extremely long, so long in fact that a few years ago they had to stop adding people to the members-only club. Hopefully we'll hear more in 2012, if not, at the Disney D23 Expo 2013. 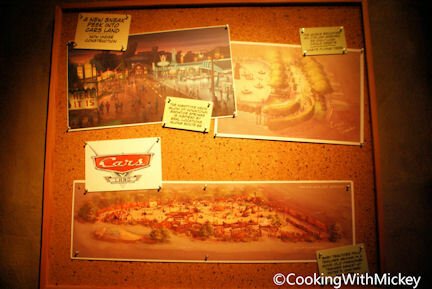 Two dining location were mentioned at the presentation, Flo's V8 Cafe and Sally's Cozy Cones. 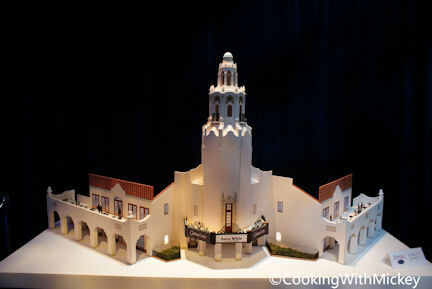 Flo's V8 Cafe will offer indoor and outdoor dining featuring food inspired by the cafes along Route 66. Sally's Cozy Cones features snack options with menu items that have "cone" in the name. As Disney executives put it "it will be a cornucopia". At the presentation it was hinted that there might be a Haunted Mansion dine with an Imagineer dinner. It was not stated outright, instead it was asked "What if"... such as, dining in the Haunted Mansion with Disney Imagineers or have tea with two of your favorite princess. 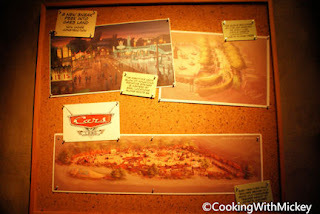 Nothing else was mention but it does have foodies wonder... are these future options at the Disney Resort. We'll just have to wait and see but here's to hoping these are hints of what is to come.